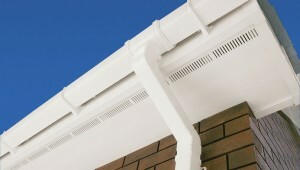 The Homefront Roofline Ltd of Surrey, specialists in the repair and installation of UPVC Soffits. Why choose Sealed or Ventilated UPVC Soffits? Soffits are non-loadbearing structures that form a small ceiling between the exterior property wall and the inner edge of the fascia. Their primary purpose is to weatherproof the underside of the rafter feet and prevent birds, vermin and insects from entering the loft space. Soffit profiles can range from a few centimetres to well beyond a meter depending on the property construction. They can be non-ventilated or ventilated. 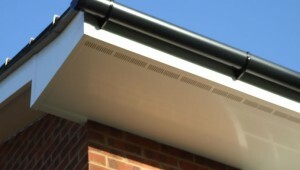 How are soffits installed (timber-backed fascias)? In a timber-backed system the soffit is attached on one side to the supporting beam with concealed stainless-steel nails. 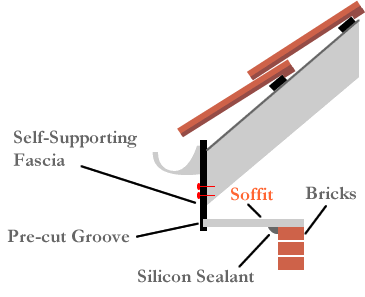 As in the previous example, the other side of the soffit is supported by the exterior wall and is bonded in place by a silicon sealant. 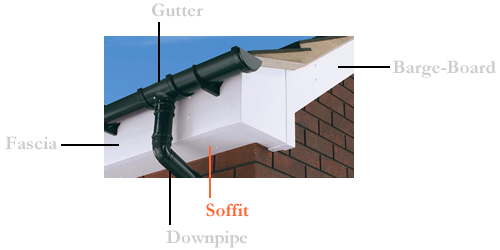 How are soffits installed (self-supporting fascias)? 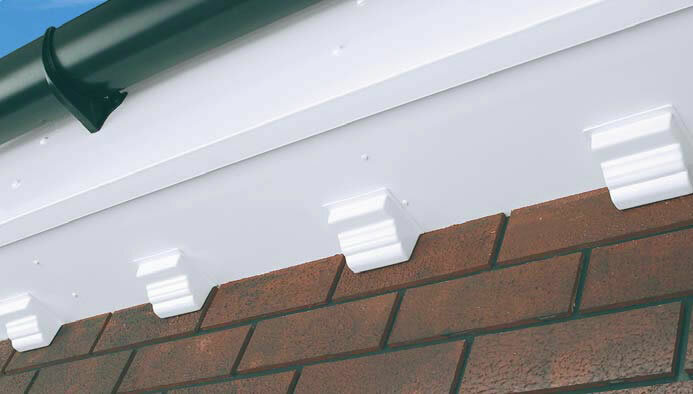 Self-supporting fascias have a pre-cut groove that accepts one side of the soffit. The other side of the soffit is supported by the exterior wall and is bonded in place by a silicon sealant. If the existing soffits are structurally sound and free from rot then over-cladding can be a cost-effective alternative to repainting. The over-cladding process involves covering the existing soffits with a 9mm UPVC board. It is worth noting that over-cladding is rarely used and in 99% of our projects we remove the existing timbers and install new ones. Roof-space ventilation is very important. 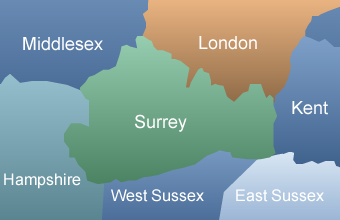 If your roof-space is not ventilated properly then the roofing timbers can get damp and rot. 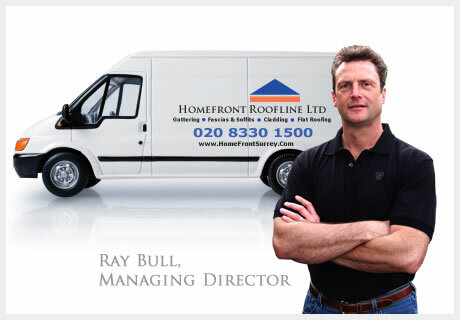 There are two roofline systems that can be used to ventilate your roof-space. 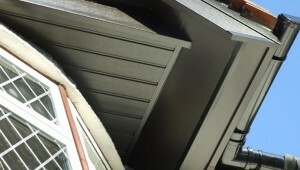 These are known as Over Fascia Ventilation and Soffit Ventilation Grills. 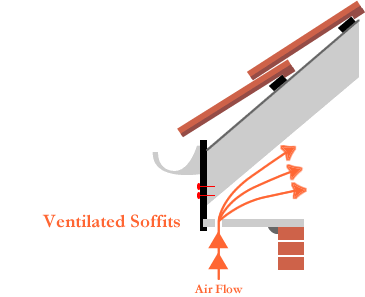 Below is a diagram showing the airflow through a Soffit Ventilation Grill. Alternatively, learn about Over Fascia Ventilation. Click here to learn about foiled UPVC soffits.